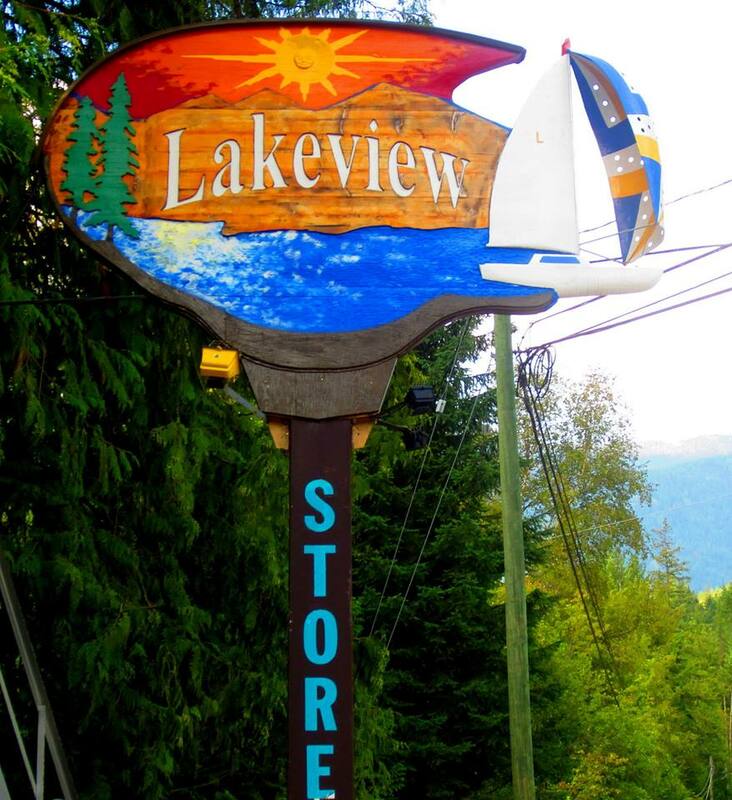 The Lakeview is a year-round recreation destination located in Gray Creek on the sparsely populated east shore of beautiful Kootenay Lake in southeastern British Columbia. It is situated midway up the valley at the widest point of the lake. Because The Lakeview is at the mouth of Crawford Bay, it has protection from the elements as well as easy access to the main reaches of the lake. Surrounded by forest wilderness, while just minutes from the renowned Kokanee Springs golf course, a thriving artisan community, restaurants, and other local attractions and recreational opportunities. Take a ride on the Kootenay Lake Ferry, said to be the longest free ferry crossing in the world, visit Ainsworth Hot Springs and Nelson, one of the best small arts towns in North America and the capital of the district. A forty-five minute scenic drive south takes you to the town of Creston, an agriculture centre with an internationally acclaimed wetlands bird sanctuary. Half the fun is getting here and there are many scenic driving routes into the Kootenays. 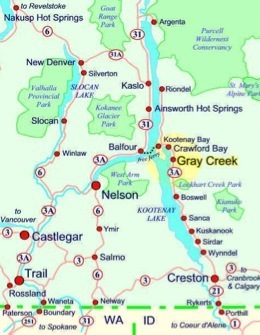 Hwy 3A is listed in www.destinationhighways.com as the #1 road for motorcycles in southern British Columbia, and we are a motorcycle-friendly site. The highway is also part of the Selkirk Loop, a popular touring route which takes you around the Selkirk Mountain range, which has been reviewed in Sunset Magazine. If you’re driving from the west you’ll be catching the Kootenay Lake f ferry. View the ferry schedule here. Check out the highway conditions report and the 5 day weather forecasts for Creston and Nelson, especially useful for winter travel. Thinking of flying into the area? Check out the Castlegar Airport flight schedule and the Spokane International Airport flight schedule. Coming from the US? The Porthill – Rykerts border crossing in northern Idaho is open from 7am until 11pm, and the Metaline Falls – Nelway border crossing in eastern Washington is open from 8am until midnight. Passports are now required when entering Canada. For further details see the US State Department’s travel information and About.com’s Americans Visiting Canada information page. You can find daily updated US/Canadian currency exchange rates here. Helpful links when planning your trip to the Kootenays.